I sent these as a gift, our son and daughter-in-law loved them. 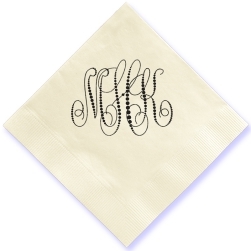 If your event is dressy, you’ll want your napkins to be, too. 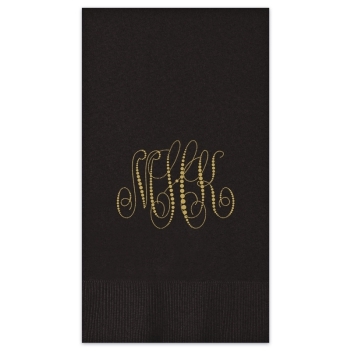 Our Pearl String Monogram Guest Towels feature our exclusive Classic monogram in a fancy pearl string design. 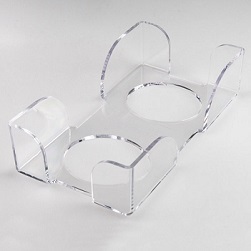 Use it in the powder room, as well as at the buffet table and the dining table. 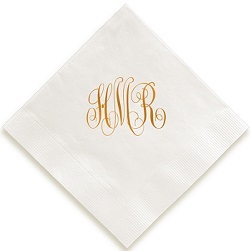 Select from a variety of paper and foil colors to match your party decor. The coin-bordered edge adds extra charm. Design your Monogram Guest Towel today.